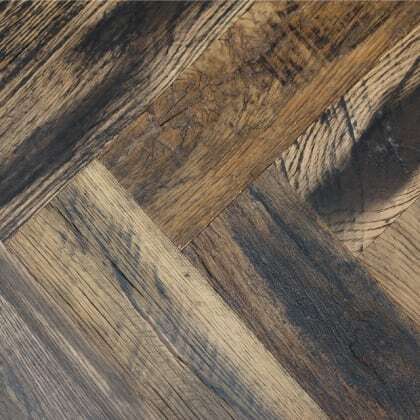 Centuries-old reclaimed wood emerges from a time when wood was in abundance in Europe and was used as the principal building material and stands the test of time. In old Soviet countries many old profound buildings have been left to rot in a dire state of dilapidation to demolition creating a prime source reclaimed hardwood and not any hardwood but Oak. 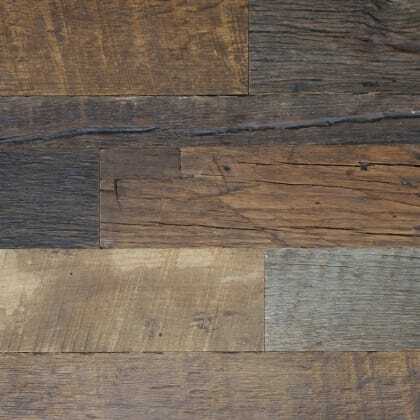 The Baltic Reclaimed Oak collection consist of 4 different finishes in multi-width planks and herringbone blocks that are engineered in structured and finished with a natural oil to enhance the natural characteristics. 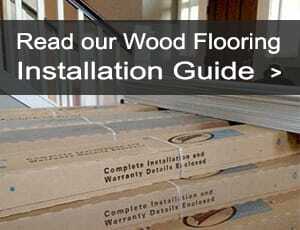 Reclaimed oak is made from beams and floorboards from buildings of 300 years that are listed for demolishment. Each piece of oak is historically aged that is ethically sourced from abandoned / dilapidated buildings in Eastern-Europe. 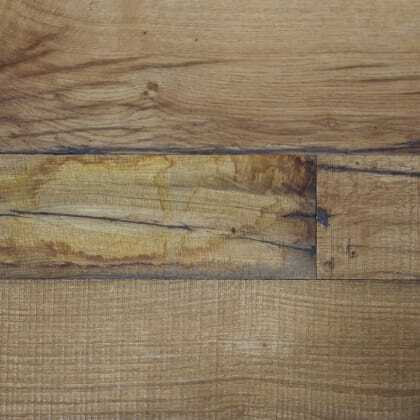 Every plank is checked for structural integrity, kilned for domestic usage and treated for any imperfections or microbes so it can be re-milled by artisans to craft quality Engineered Oak hardwood floors. 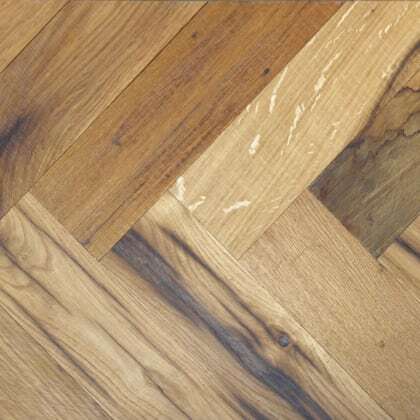 Baltic Reclaimed Oak is delivers a genuine unique look of a bygone time that cannot be replicated by artificial milling and that is a great ecological offering with quality of modern hardwood floors that is guaranteed. The RCM001 Cathedral Oak Hardwax Oiled Reclaimed delivers the only true distressed aged look to each plank, each plank is so varied it is not possible to sample and appreciate the detail of each plank which is supplied in mulitple widths from 100mm to 225mm and varied lengths of 700mm to 2400mm. Boards are varied in texture which includes distressed, aged and sawn effect crafted on a engineered board by artisans. Special Order Check Delivery Lead Time Cathedral Oak Hardwax Oiled Reclaimed is contemporay in colour tones by default from its natural ageing from centuries of use and patina. Trust us no 2 boards/planks are the same, the boards are engineered so offers great stabilty to be used on any type of substrate and then finished with Hardwax Oil leaving the floor feeling traditional and allowing the senses to feel natural and comes with a Lifetime Structural Guarantee. Oak Hardwax Oiled Patina Bevel (not on al b.. The RCM004 Cathedral Oak Hardwax Oiled Reclaimed Herringbone Parquet delivers the only true distressed aged look to each block which is so varied it is not possible to sample and appreciate the detail of each block. Boards are varied in texture which includes distressed, aged and sawn effect crafted on a engineered board by artisans. 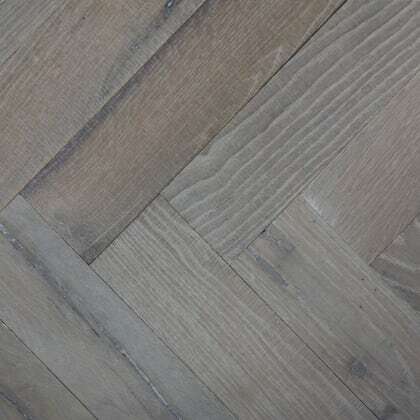 Special Order Check Delivery Lead Time Cathedral Oak Hardwax Oiled Reclaimed Herringbone Parquet Block is contemporay in colour tones by default from its natural ageing from centuries of use and patina. Trust us no 2 boards/planks are the same, the boards are engineered so offers great stabilty to be used on any type of substrate and then finished with Hardwax Oil leaving the floor feeling traditional and allowing the senses to feel natural and comes with a Lifetime Structural Guarantee. Oak Hardwax Oiled Patina Bevel (not on al boards) Reclaimed 15mm x 155mm to 540mm 4mm Solid .. The RCM005 Farmhouse Grey Oak Hardwax Oiled Reclaimed Herringbone Parquet delivers the only true distressed aged look to each block is so varied it is not possible to sample and appreciate the detail of each plank which is supplied in mulitple widths from 100mm to 225mm and varied lengths of 700mm to 2400mm. Boards are varied in texture which includes distressed, aged and sawn effect crafted on a engineered board by artisans. Special Order Check Delivery Lead Time Farmhouse Grey Oak Hardwax Oiled Reclaimed Herringbone Parquet is contemporay in colour tones by default from its natural ageing from centuries of use and patina with a subtle grey wash. Trust us no 2 boards/planks are the same, the boards are engineered so offers great stabilty to be used on any type of substrate and then finished with Natural Oil leaving the floor feeling traditional and allowing the senses to feel natural and comes with a Lifetime Structural Guar.. 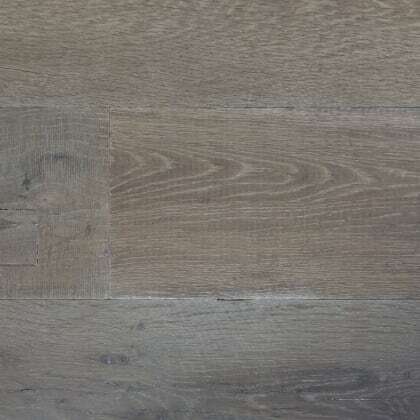 The RCM002 Farmhouse Grey Oak Oiled Reclaimed delivers the only true distressed aged look to each plank, each plank is so varied it is not possible to sample and appreciate the detail of each plank which is supplied in mulitple widths from 100mm to 225mm and varied lengths of 700mm to 2400mm. Boards are varied in texture which includes distressed, aged and sawn effect crafted on a engineered board by artisans. Special Order Check Delivery Lead Time Farmhouse Grey Oak Oiled Reclaimed is contemporay in colour tones by default from its natural ageing from centuries of use and patina with a subtle grey wash. Trust us no 2 boards/planks are the same, the boards are engineered so offers great stabilty to be used on any type of substrate and then finished with Natural Oil leaving the floor feeling traditional and allowing the senses to feel natural and comes with a Lifetime Structural Guarantee. Oak Gre.. The RCM003 Stable Barn Oak Hardwax Oiled Reclaimed delivers the only true distressed aged look to each plank, each plank is so varied it is not possible to sample and appreciate the detail of each plank which is supplied in mulitple widths from 100mm to 225mm and varied lengths of 700mm to 2400mm. Boards are varied in texture which includes distressed, aged and sawn effect crafted on a engineered board by artisans. Special Order Check Delivery Lead Time Stable Barn Oak Hardwax Oiled Reclaimed is contemporay in colour tones by default from its natural ageing from centuries of use and patina. Trust us no 2 boards/planks are the same, the boards are engineered so offers great stabilty to be used on any type of substrate and then finished with Hardwax Oil leaving the floor feeling traditional and allowing the senses to feel natural and comes with a Lifetime Structural Guarantee. Oak Hardwax Oiled Patina Beve..